Image Size: 24 X 41 in. Image Size: 17.5 X 30 in. When is comes to Gin, only the finest ingredients enjoy access to the private botanical spa. 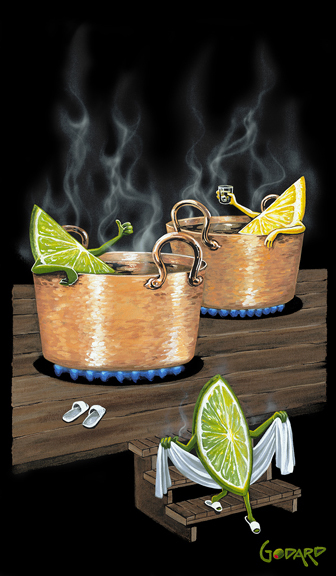 Every lemon and lime can indulge in the pleasures of relaxing and distilling in perfectly heated copper pots.